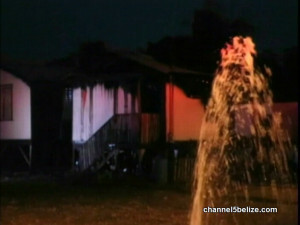 Fire destroyed a house earlier this evening in Belize City. Shortly after six, flames were seen coming out of a small wooden house in the Faber’s Road Area but the fire spread quickly by the time fire officials arrived on the scene. We’ll have more in Wednesday’s newscast.